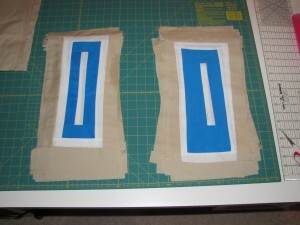 Other posts on this project: Crete Quilt, Crete Quilt 2, Crete Quilt 3, Crete Quilt 4, Crete Quilt 5. I’ve finally finished piecing the blocks for this quilt, but I’ve got concerns. First of all, the khaki fabric I used is much thinner than all the fabrics, so it’s more delicate. 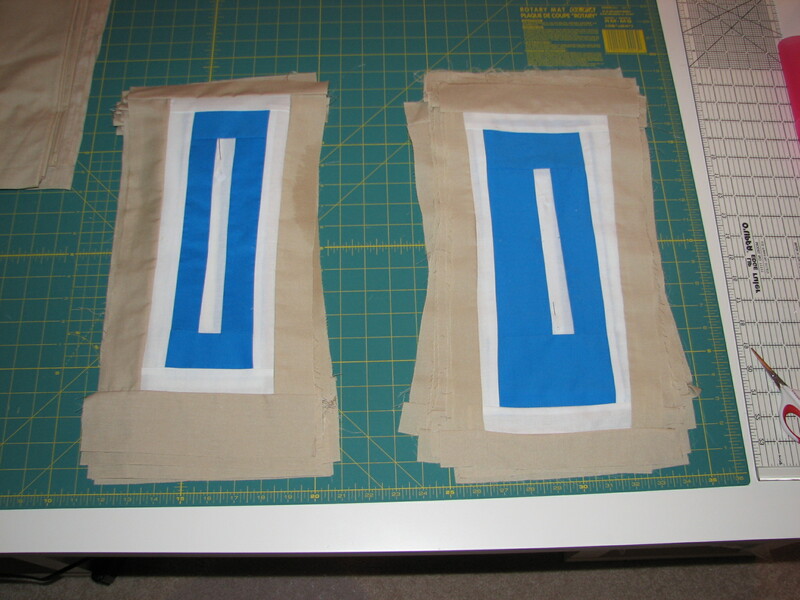 And for reasons I have yet to work out, I lost a lot of overall dimensions when I sewed the blocks together. They didn’t sew together flush, which I was expecting. Once I square all of these up so that they’re even, I’m estimating that this will be a good 7″ narrower than I originally thought. The length is pretty right on, but the width isn’t the same as the book suggests. This isn’t the end of the world, but I may have to figure out how to make up that shortage. I really don’t want to add another row of blocks because I’m sort of over log cabin piecing at the moment. Maybe another layer of border or something, we’ll see. But, it’s definitely on its way!